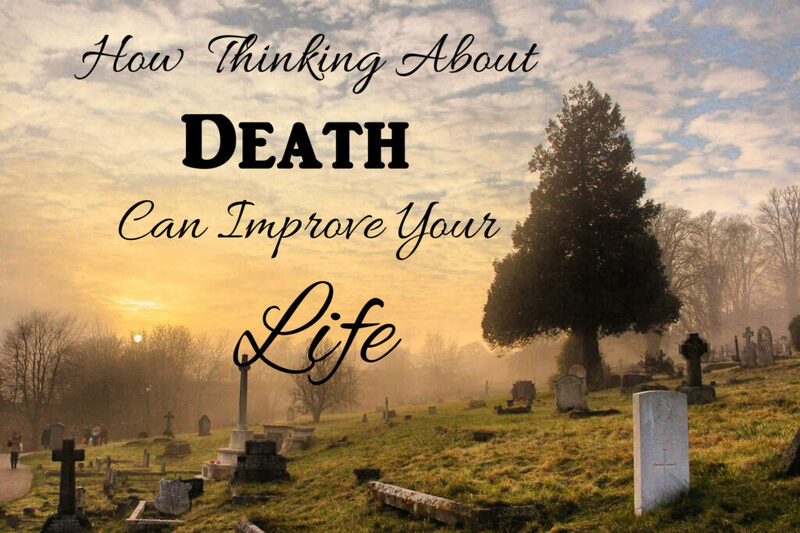 But what good could it possibly do to think about death every day? This description really struck me. I have nothing against hunting or playing the lottery. But is that what I would want to be remembered for? It made me sad to read that there was a human being who would be remembered for nothing more than that. When I die, I want people to remember me for having been something or done something of worth. I would like to be remembered as a good friend, a good teacher, a good wife, a good mother. I would like people to think that I had left this world—or at least my part of it—a better and happier place than I found it. They say that Alfred Nobel, who founded the Nobel foundation which grants prizes to notable people in various fields, started the foundation because he had the rare privilege of reading his own obituary before he died. Nobel decided that he was not satisfied with the legacy he was leaving to the world. He wanted to be remembered for something other than inventing a weapon, so he founded the now famous Nobel Prize foundation. If you read your obituary in tomorrow’s paper, what would it say? Are you happy with being remembered that way? If you would like to get some ideas on how to be a better woman, how to grow in feminine virtues, and how to leave a richer legacy, sign up for our email updates. We usually post articles 3-4 times a month. 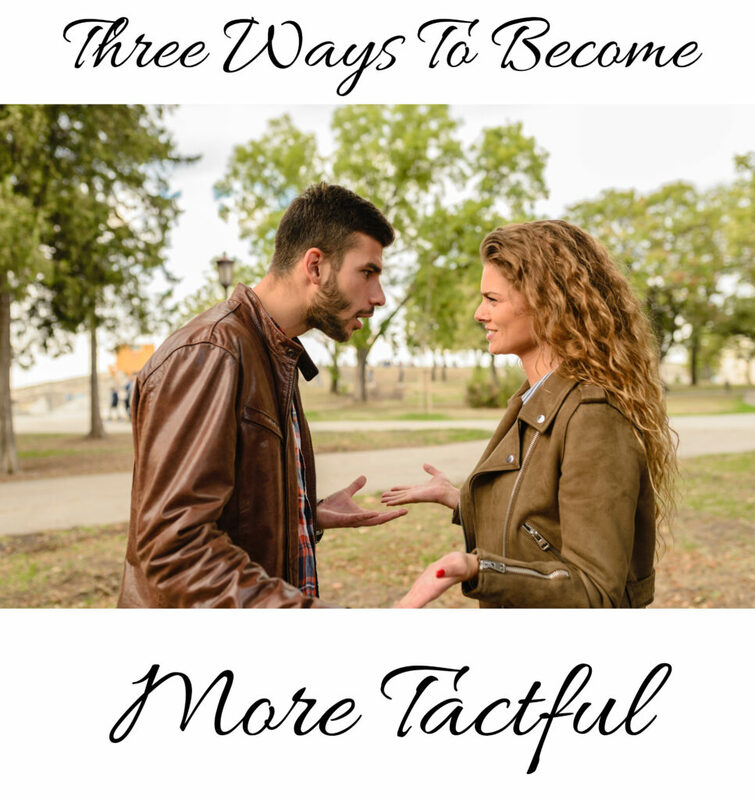 Tact is an often overlooked virtue, but one which is absolutely vital for success as a woman. It is perhaps the most feminine of all the virtues. It makes life easier, and it makes everyone around you happier and more confident. So what is it? Merriam Webster defines it as “a keen sense of what to do or say in order to maintain good relations with others or avoid offense.” This is an excellent definition because it does a good job of expressing both the challenge and the beauty of this quality. It is challenging because it requires intelligence and observation skills equal to Sherlock Holmes’s. And it is beautiful because it leads to good relations with all you meet. Tact can make everything flow smoothly, help everyone get along and everyone get what they want as much as possible. At its best it is courtesy and consideration motivated by love. At its worst, the skill of tact will make you much better at manipulating people for your own ends. Whatever your motives, read on. In the Odyssey, Penelope, Odysseus’s wife, is left at home while he wanders, trying to return to her. He has been gone for twenty years, and many assume that he is dead. So there are piles of men wanting to marry Penelope. She is the queen of Ithaca, and to be her husband would be a step up in the world. Now in Greek society, women had very little power, so with her husband gone and apparently dead, Penelope is left in a vulnerable position. On the one hand, she is being pressured to marry one of the many suitors who are competing for her. On the other hand, all the suitors are losers, and she has no desire to replace Odysseus who—let’s face it—is pretty darn awesome. In her vulnerable situation, she cannot simply tell all the suitors to get lost and that she’d rather die than marry any of them. So she comes up with a tactful answer. She has to finish the funeral shroud for her father-in-law. She then weaves it every day, and unravels it each night, and thus drags out the task for years. This way she protects herself and her household by not angering the suitors too much, and succeeds in waiting for her husband as she wants to. 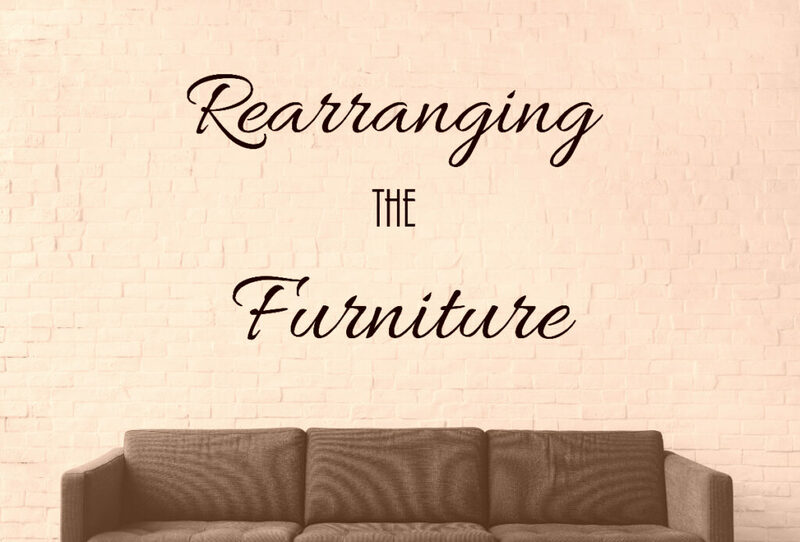 Another example of tact which is a little closer to home is a stay-at-home mom who wants her husband to fix something that broke in the house. A tactful wife might wait till after her husband has eaten supper and is relaxed, rather than springing the bad news on him as soon as he walks into the house tired from work. Or a mother correcting a child’s bad behavior in private rather than in front of his friends. So, how can you up your tact game? How does this apply to real life? Well, if you have a person you are having trouble getting along with, at work, at home, at school, or anywhere, take your next opportunity to observe them closely. This is where your Sherlock Holmes skills come in handy. Try to find something admirable about them. It could be anything—the way they comb their hair, the way they smile, the way they do their work. Almost everyone has some good quality that you can admire. Next, once you find their admirable quality, tell them about it. “Hey, I like the way you comb your hair. It looks great.” “I just wanted to say how much I appreciate the way you always double check your work.” “Your got that floor really clean when you mopped it.” It doesn’t matter how trivial it is. Comment favorably on their behavior. It will—for all but the most ornery of people—almost definitely result in them doing more of the admired behavior, and, with any luck, they will feel more confident and therefore do other good things too. Next time you try to get someone to do something—whether it’s trying to get your boss to go ahead with your suggestion, getting your mom to let you watch another show, or getting your kids to clean their room, listen to yourself and see how you ask. Often we are so focused on why WE want something to happen that we completely forget how it seems to other people. If you want to be effective at getting other people to do things, and like doing them—we can usually find some way of getting our kids to do stuff but it’s not always fun—you need to figure out what’s in it for them and present that first. Now, this has to be done rather subtly sometimes. Not everyone likes being told what they want. A little bit of mental role-play will often give you a clue how to present a question to someone else. Find out what they want, and then explain how your suggestion will help them get it. This can get kind of complicated when you are doing it with your children. You don’t want to bribe your children with things that they want, like toys and movies and candy. Instead you will want to play to your children’s desires to be treated as a grown-up, and to feel confident and accomplished. But your children are pretty smart and probably won’t respond to “I will think of you as a big responsible and smart person if your room was clean.” It would probably work better to tie privileges to duties as a regular system and to treat your (older) children as responsible humans who can choose to either have their privileges or not. This is possibly the most powerful technique, and also the most difficult to apply. Has anyone ever tried to convince you to change your mind about something? It’s hard to accept someone else’s idea instead of yours. People just plain like to be right. We all want to feel like we are the smartest person around. And whoever you are trying to convince is no different. But sometimes a person is absolutely sure he is right, but is not so sure what exactly he thinks. This is when this strategy will be your best friend. If you idea is any good, you can usually persuade someone else that he thought of it himself by simply suggesting it, step by step, and pretending that it was their idea. Not that you lie and say that it was their idea. You simply point out how your idea fits in with their suggestions, and assume, (out loud) that they must have thought of it themselves. It works like a charm. Now I am not recommending that you go around manipulating people for your own ends. But there are times when you have to get other people to do things, or tell people bad news, or ask people for help. In all of these cases, tact is a fantastic asset to any woman’s toolkit. It makes your life much more enjoyable, and used properly, makes the lives of those we meet more pleasant. Probably the most famous self-help book ever written, Dale Carnegie’s book is an easy read and can change your life. He explains each of his techniques simply and uses lots of stories to illustrate his points. Written a few decades ago, this book seems a bit dated in parts but the general idea remains valid today. This is a book about how to have fun as a wife, and how to keep your husband happy and get what you need from him. I enjoyed it a lot. Yes, I know, I recommend this book a lot. But that’s because I think it’s really good and it can change your life, even if you aren’t married, just by the realization that people need to be loved differently. I used to teach 7th and 8th graders, and I loved it. But when I told most people about my job and how much I enjoyed it, they looked at me as though I was insane. A large percentage of the population seems to think that middle schoolers are about the worst kind of human there is, and that dealing with them on a regular basis is nothing short of torture. Many parents live in dread of their children turning thirteen, and savor the childhood years, assuming, for some reason, that parenting will be miserably from that moment on, until, perhaps, grandchildren show up on the scene several years later. But I think that middle schoolers are wonderful, and that the reason so many people have difficulty with them is that they don’t understand how to deal with them. In my experience—though I must admit I don’t have middle schoolers of my own yet—middle schoolers want three things, and if you give them those three things, the majority of them will be happy and cooperative. Middle schoolers, like most humans want respect more than almost anything else. We don’t usually have a lot of difficulty giving fellow adults respect. We are used to thinking of them as people like us who have similar wants and desires. The trouble with middle schoolers, is that they are developing adults, who are only partially grown up, and only have the beginnings of the qualities we automatically respect in fellow adults. The trouble is that while middle school aged children often seem to have the self-control of children, they are as touchy about their dignity as an adult would be—more so in fact, because they have so little to base their sense of self-worth on as yet. This would be hard enough to deal with, but when you add to that the fact that it is often hard to remember that your children are growing up and that they aren’t your helpless babies anymore, you get a hopeless mess. 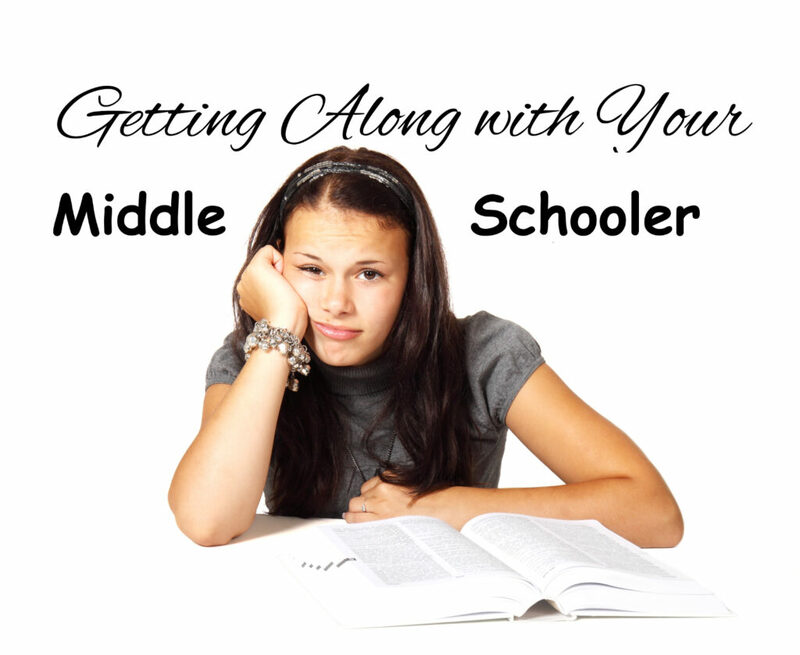 In my experience, what middle schoolers want is to be treated like human beings. They want to be recognized as no longer children. Many civilizations had special coming of age ceremonies for children who of about 12. Psychologically, this makes a lot of sense. 12 year olds have minds of their own, and want to be talked to as though their ideas mattered. I was always very careful not to call my students “children.” I tried to call them students, or boys and girls, ladies and gentlemen, or any other age-neutral term. By listening to their ideas and thoughts as though they mattered, just as I would to a fellow sdult, I not only modeled respectful behavior, but bolstered their self-esteem. And when I treated them as if they were somewhat grown up, this gave me the right to expect more grown-up behavior from them, which further bolstered their self-esteem. While many adults try to avoid responsibility, middle schoolers, in my experience, rarely do. They understand that responsibility is related to growing up, and that if they are entrusted with responsibility, this is an honor. At this age, they need to be given more and more autonomy, but they also need strong limits. Giving them responsibilities will fulfill both these needs. If they have responsibilities that they understand and have accepted, they will accept correction for failing to do them better than they will accept correction for breaking rules which they see as arbitrary and pointless. I allowed my students to help write their own rules for the classroom, and they admitted that the rules we created were reasonable and helpful. As a result, I never once had a student complain of unfairness when I reminded them of the rules. I did have to remind them, but I always tried to do so in a way that was respectful. Rather than saying, “You disobedient child, how dare you disobey MY rule?” I tried to remind them that there was a rule that they had agreed to, and that they understood the reason for. If they persisted in breaking the rule, I tried to keep the consequences what we had discussed, rather than arbitrarily making up stuff. This sort of system allows young teens to feel that they have control over their lives, and makes them much more cooperative. But young teens don’t just want respect and responsibility, they also want something more. The young teens I have met, and my past self at that age, want something more from life than comfort and ease and material success. I remember reading Last of the Mohicans and Lord of the Rings, and wishing desperately that I too could do noble and glorious things, preferably in a romantic setting like untouched American forests, or the mysterious mythical land of middle Earth. People this age want noble ideals. We can help them develop strong ideals by giving them good books to read, and especially by modeling noble behavior. Twelve and thirteen-year-olds are harsh judges, as anyone knows who spends time with them. They need to be given good principles to judge on, and they need to see their authority figures living in accord with those principles. And if they can be given an opportunity to do something exciting and fun, that is also noble and virtuous, they will be the happiest people around. I loved these four books as a kid, and I still love them. They center around the fictional country of Letzenstein, and its royal family and are full of adventure and excitement. Each book stands alone, but they are more fun as a set. This action packed story follows one of the Czar’s couriers across the expanse of Russia and into Siberia on a quest to give an important message to the Czar’s brother. Michael Strogoff is equal to all obstacles, and courageously sticks to his quest despite seemingly insurmountable obstacles, including a barbarian invasion. Set in Holland in World War II, this story follows the adventures of a couple of young boys who face challenging experiences and learn about courage and sacrifice for a good cause. Their family shows them examples of true courage and nobility, but it’s not at all preachy. It’s an exciting adventure story that kids love. Tolkein’s magnificent tale should inspire and entertain both teens and adults. Posted in PeopleTagged growing up, relationships2 Comments on Getting Along with Middle Schoolers. Today I haven’t done much but fold a mountain of laundry and wash a pile of dishes. I have nothing particularly insightful to say—but then, would you have anything insightful to say if you were recovering from stomach flu while taking care of an energetic, stubborn, easily bored nine-month-old? 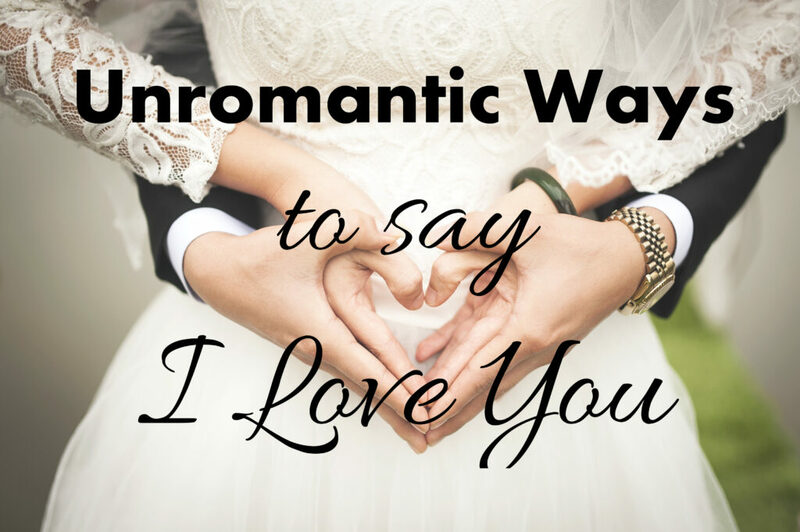 One thing that the whole experience did remind me of, though, is the fact that while romantic things are nice, in many cases it’s the unromantic things that are really the most important. Boxes of chocolates and bouquets of roses are lovely, but nothing says, “I love you.” quite the same way as cleaning up vomit. I have had the opportunity to watch my husband clean up my vomit a truly astonishing number of times since we got married (think morning sickness and a couple of bouts of stomach bug), so I should know. Now of course, it is important to have nice shared experiences too. A very wise marriage counselor I met said that one of the biggest mistakes that parents make is only having unpleasant interactions with each other. Discussing the kids’ bad behavior, discussing money problems, discussing rules… and then blowing up because you are so unhappy. He reminded all of the couples who came to him that it was very important for married couples to remember to deliberately have fun together so that they don’t start to subconsciously associate each other with only unpleasantness. I think some people feel like they have to do certain types of things on their dates just because someone, somewhere decided that that sort of thing is more romantic. But it’s more important that it be enjoyable. Exercising together might not be romantic—nothing so romantic as baggy workout clothes and the smell of sweat—but if you enjoy it, then you should do it as often as you can. It will make you happier, and make your marriage stronger. Or if that’s not your thing, just sitting and chatting about pleasant things after the kids are in bed can be fun, though not necessarily very romantic. When all is said and done, if you want to eat a candlelight dinner with roses and orchids, and then dance by moonlight afterwards, while playing the song that you played during your first dance at your wedding, do it! But don’t feel like it’s necessary. In fact, I am pretty sure that no moonlight dance says “I love you” quite as effectively as when your husband takes away the bucket you’ve just been puking into and hands you a kleenex, a glass of water, and a nice clean, dry wastebasket. A couple of years ago, I visited a homeless shelter with a youth group. While we were there, we participated in an activity, a sort of game that the leader of the shelter had created to educate people on the reality of homelessness and how people become homeless, and the cycle of hopelessness that results. The narrative of the game was that we, the players, had just been released from prison—the situation of the majority of the homeless men in the shelter. We had an amount of money typical of a person in that situation, and a certain number of resource cards. Then there were event cards where things happened to us that we needed resources to deal with. For example, we had to go see our parole officer, and this involved somehow getting a ride. We could ask a friend for a favor, we could pay a taxi, or we could walk…. Anyway, to make a long story short, my group didn’t get to see their estranged family, ended up sleeping under a bridge, but we stayed out of jail—just barely. What I learned from this activity was how much I depend on my network of friends and relations. In all of the hypothetical situations that our group ran into, my real-life answer would have been, I’ll ask a buddy. I’ll ask my parents, my cousins, my friends. Everyone should have a positive social support network. In many cases, it is literally the only thing that protects people from becoming homeless, going to jail, committing suicide, or many other negative outcomes. The one biggest difference between successful and unsuccessful people is what their social support network looks like. Imagine a successful young man or woman. After graduating from highschool—which they do, thanks to supportive parents, school staff, and classmates—they move onto getting a job or going to college. The people that they and their parents know will be invaluable at this time in their lives. While some people get jobs by filling out employment applications, I for one have never been hired this way. The only jobs I have ever gotten were jobs where I knew someone, and other people’s experiences confirm that this is often the case. People like references that they know and trust. Shawn Achor, the happiness researcher, writes in his book, Big Potential that working together with other people makes your productivity rise exponentially. One study showed that even standing next to a person who is viewed as a friend will make obstacles seem smaller and more manageable. (in the study, people were asked to estimate how steep a hill seemed. People with friends nearby found that the hill seemed more climbable than people who were alone did.) The book is filled with other fascinating studies showing similar things. So what does this mean for you? Social connectedness is good for basically everything. It makes your health better, enriches your life, makes you happier, more likely to have a good job, and more likely to achieve your personal goals. But who do you need to get to know? How will you avoid losing touch with your friends? A lot of people want to go back to their highschool or college years, not because they fear the responsibilities of adult life, but because highschool and college was the last time they felt like they had a close network of peers to look out for them. Once you leave highschool or college, it is common to feel friendless, and the longer you wait to make friends, the harder it can get. Young people are more adaptable and tolerant of others (in general), so it can be easier to make friends when you are young. 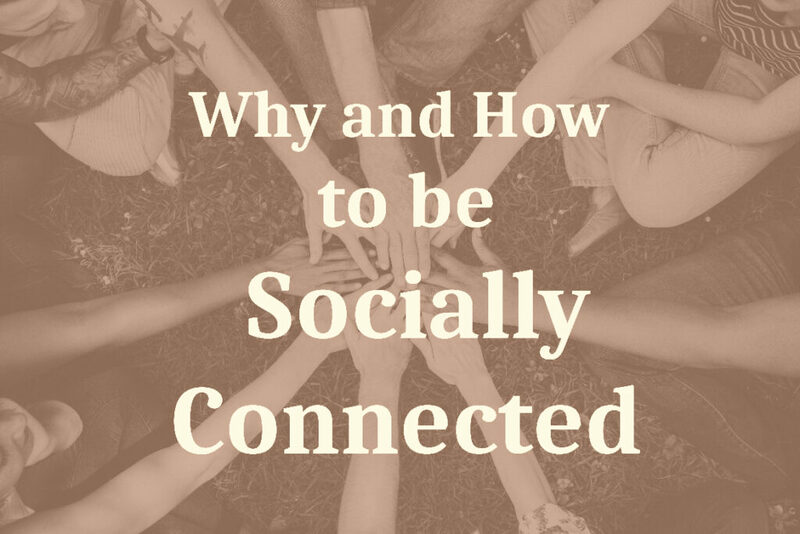 So, how do you cultivate social connections? First of all, recognize that you and everyone else is lazy. You are likely to see people who it is easy to see, and not see people that it is hard to see. This makes it important to engineer your life to encourage social connection. The most obvious people in your life are the ones you live with. You see them everyday, and their behaviors and attitudes affect you the most. Studies have been done on spouses and their behavior and its effect on each other. As you might expect, a happy wife does make a happy husband, and vice versa. Similarly, a person whose husband or wife who succeeds in losing weight to become more healthy is considerably more likely to do the same. The first thing to focus on then, is the people who live with you. A strong healthy spousal relationship is one of the best predictors of success, while divorce is a strong predictor of unhappiness and poverty. Spousal relationships are not the only family relationships that are important, however. Married couples who have children are less likely to be lonely in their old age than those who raise dogs or cats instead. Parents should have good relations with their children—after all, you might need their help in old age, and the empty nest can be lonely if the kids never want to visit. It is also super important for parents to try to cultivate good relationships among their children. A supportive sibling is such an asset to an adult, and a loving extended family, complete with aunts, uncles and cousins, is the best environment for a child’s growth and development. Not everyone leaves their homes for work, however, and even among those who do, many people don’t seem to have much in common with their co-workers. So where will you find friends? In the book Coming Apart Charles Murray cites some fascinating statistics on self-reported happiness and church attendance. Apparently, Americans report higher levels of happiness the more frequently they attend Church, all other things being equal. There are probably other factors involved, such as feeling more spiritually well, but one cause of this correlation is doubtless the effect of Church community. If you have strong religious convictions, and spend time weekly with other people who share those convictions, the likelihood of your making friends is much higher. If you have trouble just walking up to strangers after Church and talking to them, most churches have events and volunteer opportunities which will give you an opportunity to mingle with people in a more structured way, and eventually make friends. These events are not a substitute for an active social life where you invite friends to your house and are invited to theirs, but a gateway and a necessary supplement to it. Most towns have a few organizations for getting things done. Whether its volunteer groups trying to help people who need help, or volunteers for the town parade, there is usually something that you can do to with other people in your neighborhood. There are often events at public libraries, and local schools. If one is not isolated by a disability or by living too far from anyone else, there is usually some way to meet other people in person and develop relationships that will enrich your life. Now, of course, a social network is only as good as the people in it. Gangs are very strong and connected social groups, but they tend to lead to crime, prison, drug use, and other negative outcomes. Social support networks of this kind do more harm than good and need to be replaced with better networks before you can make any progress. Gangs are an extreme example, but toxic relationships can exist in any social milieu. Jordan Peterson has famously advised people to “make friends with people who want the best for you.” And to walk away from bad friends, and people who want to keep you in self-destructive behaviors. Whatever you might think of the rest of Jordan Peterson’s ideas, this advice just makes sense. Good friends are people who try to help you become better and happier, not people who try to keep you in your cycle of bad habits. That said, forming strong social connections is the best investment you will ever make. The best social network will contain people who are older than you, so that you can learn from them, and younger than you, so that not all your friends will die before you. It will contain men and women, married people and singles. And these people, ideally, will look out for you, will help you and your children, will broaden your horizons and make you a better and happier person. This is THE classic guide to improving all your relationships with people you meet. Shawn Achor shows how happiness and productivity are linked to social connectedness. It’s an entertaining and compelling look at how we do things and how we can do them better together. We’ve all heard the phrase, “occupational hazards.” You might think of cooks burning themselves, linemen suffering accidents, office workers getting back problems, or something like that. You might even think of a sort of humorous occupational hazard, like English teachers finding themselves correcting their friends’ grammar. Anyway, every occupation comes with its own set of hazards, even being a stay-at-home mom. In fact, the occupational hazards of being a stay-at-home mom are surprisingly dangerous and subtle. A woman who works a “normal” job in the world, whether it’s being a lawyer making six figures, or working at a grocery store for minimum wage, has certain benefits associated with this job. She has contacts with the outside world. She has a schedule of sorts that makes her go from one place to another. She is recognized for her work, and she’s at least paying into social security, if not into another retirement account. But then the woman has a child, and finds that she needs to spend time with her children for their well-being. And sometimes when the wife works a job it actually costs a family money, because of peculiarly designed tax codes and the cost of daycare. Besides, there is no substitute for a strong family environment with a caring parent. Children almost always do better both cognitively and emotionally in a stimulating home than in an institution. But when a woman quits her outside job to spend time caring for her children, she often loses her contacts, her schedule, her recognition and her societal respect. This is a dangerous situation for a woman to be in, for anyone to be in. Adults need the company of other adults. They need structure in their lives, and they need to have a sense of self worth, which in many cases, is a by-product of being respected by others. “It’s a shock…raising children is still part of a relatively low status world. Everything was gone once I started to stay home. In my new job as a mother I had no salary and no professional contacts. There were no more movies, no more dinners out, no work clothes….it was as if everything was being taken away from me. This is one option: anger at your fate and at society for making the life of stay-at-home moms so unrespected. I think there’s a lot of that nowadays. And some of it, perhaps most of it, is justified. It’s true that society doesn’t seem to care about the sanity and self-worth of those who train tomorrow’s citizens in mind. But anger and bitterness can eat you from the inside out and leave nothing left. You may have started out with the noble ideal of raising your child, and chosen to leave behind a promising career or a fulfilling job. And this is noble. But you can become embittered by the consequences of that choice, and bitterness has a way of turning into resentment. And if you resent your children, one wonders if they will really be better off for having their mother around. So don’t get bitter… easier said than done. How will you avoid bitterness and resentment? How can you avoid pining after the freedom and respect you had previously? How will you maintain your sense of self-respect? But, maybe you don’t have this problem. 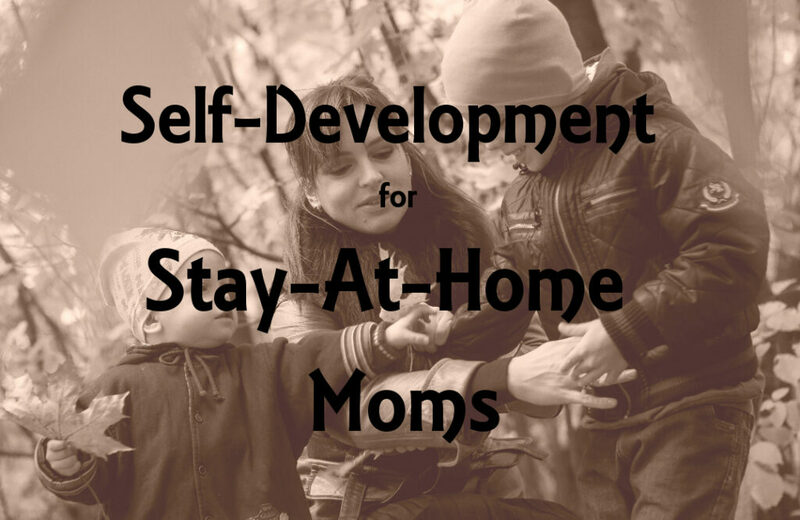 Maybe you have always dreamed of being a stay-at-home mom, and you are so happy to be one now. That’s great, but even this can be dangerous, too. Some women get their sense of self-respect by devoting themselves to their families in a fanatical, controlling way. They compensate for their lack of worldly status by basking in the fact that their families “need” them. This can be as poisonous an attitude as anger and resentment. C. S. Lewis describes where this attitude can lead in his book The Four Loves. (The sections on affection and friendship are amazing!) He invents a character, Mrs. Fidget, to personify this outlook. Mrs. Fidget… died a few months ago. It is really astonishing how her family have brightened up. The drawn look has gone from her husband’s face; he begins to be able to laugh. The younger boy whom I had always thought an embittered, peevish little creature, turns out to be quite human. The older, which was hardly ever at home except when he was in bed, is nearly always there now and has begun to reorganise the garden. The girl, who was always supposed to be “delicate” (though I never found out what exactly the trouble was), now has the riding lessons which were once out of the question, dances all night, and plays any amount of tennis. Mrs. Fidget very often said that she lived for her family. And it was not untrue. Everyone in the neighbourhood knew it. “She lives for her family,” they said; “what a wife and mother!” She did all the washing; true, she did it badly, and they could have afforded to send it out to laundry, and they frequently begged her not to do it. But she did. There was always a hot lunch for anyone who was at home and always a hot meal at night (even in mid-summer). They implored her not to provide this. They protested almost with tears in their eyes (and with truth) that they liked cold meals. It made no difference. She was living for her family. She always sat up to “welcome” you if you were out late at night; two or three in the morning, it made no odds; you would always find the frail, pale, weary face awaiting you, like a silent accusation. Which means of course that you couldn’t with any decency go out very often…. Mrs. Fidget, as she so often said, would “work her fingers to the bone” for her family. They couldn’t stop her. Nor could they—being decent people—quite sit still and watch her do it. They had to help. Indeed they were always having to help. That is, they did things for her to help her to do things for them which they didn’t want done…. The Vicar says Mrs. Fidget is now at rest. Let us hope she is. What’s quite certain is that her family are. Now Lewis is evidently exaggerating for the sake of humor as much as to make a point, but there is a real danger here. If a woman finds all of her self identity in being needed by her family, she will either end up controlling and limiting her children and ruining their lives, or she will be empty and embittered when they leave home. If she becomes a controlling parent both her spouse and her children will suffer. But the children will get the worst of it, because they are not developed yet. Children are not supposed to need their mothers forever. Children are supposed to grow up and become independent. But it is perfectly possible to change that: to make a person permanently dependent on another emotionally and even physically. If her children are lucky enough to escape and strong enough to go start independent lives of their own, then in her middle age, when they are grown up and gone, her life will be empty of all meaning. If she has made her self-worth completely dependent on being needed by others, when they don’t need her anymore, she will have no selfworth. So how can a mother stay at home with her children, and raise them well, and still be happy and fulfilled? Is it possible? Or is there too much societal pressure against it? Is the only solution to work an outside job and put your kids in a daycare center all day? I think there is a solution. In fact, I think there are many solutions—about as many as there are dedicated stay-at-home moms. But they all boil down to one thing. Self-development. Usually when someone finds a career fulfilling, it is because that career has possibilities. It gives you opportunities to advance, to challenge yourself. You can feel that you are getting somewhere, that you are better in some way than you were the year before, that you have done something worthwhile. Now motherhood is definitely challenging, but does it offer opportunities to advance? I think it does, but only when viewed in the right way. I think that motherhood is not only easier but more fun if it is approached as a learning experience. You are learning how to be a better parent. Studying new ideas for raising your children and teaching them new skills. Seeing how much independence they can handle, how strong you have made them. Constantly learning new things and new methods. This is one way to make motherhood fulfilling. But some women, despite taking pride in their parenting, and trying to do a great job, still need some recognition of their abilities and feel insufficiently challenged. This is not a good situation, as it can lead to frustration and boredom, and there’s nothing so boring as a bored person. I think that it is very important for a woman like this to find something she can challenge herself with. There are hundreds of different options out there. Some ladies learn languages, write books and blogs, or perfect their cooking with ever more intriguing recipes. Others run photography businesses, design clothes, do direct sales, make and sell amazing crafts, or paint pictures. And these are just a few of the many options out there. I’m sure there are plenty of ladies who write computer programs during their toddler’s naps. Even reading good books is a productive activity. Christian women can (and should) spend time in prayer and spiritual reading, in developing a relationship with God that will outlast any life-changes. In A Mother’s Rule of Life, Holly Pierlot describes how this activity helps her become happier in her home life, and how much it helps both her family and herself to be happier and more contented. I think these sorts of activities are extremely good, both for the women who are doing these things, and for their families. If a woman has a productive, fulfilling hobby, she has an extra source of happiness and interest in her life, and this will enrich her family’s experience. Time spent on productive businesses and hobbies is not wasted, and it is not time taken from the family. Not only does it give her children a broader range of activities to observe, it makes the mother more interesting, more perfect, more truly human. She will be a better person and a better mother because of it. And her family will be better for it as well. Holly Pierlot shares her personal journey from desperation and misery in her family life to peace and order. While this book is written for Catholics, her ideas and insights could benefit any mother of children. In this famous book on parenting, John Rosemond draws from his own experience, his knowledge of child psychology, and common sense to develop a sensible, healthy system of raising children that is liberating for both parents and children. Conor Gallagher takes the wisdom of ancient Greece and applies it to the 21st century child. People haven’t changed much over the last 3000 years or so, he contends, so why not listen to what Aristotle had to say about kids? This post contains affiliate links. Purchases made through these links support the website at no extra cost to you. Recently my baby was given a present of a lovely cloth baby book, for which I was very grateful. I was so thrilled to see that someone was making attractive things for children. We develop a taste for what is presented to us as children. Children who grow up being fed only fast food often have a hard time developing a taste for either vegetables or fine wines. If you want your children to have a healthy taste for beautiful objects, ideas and actions, you are going to have to present beautiful objects, ideas and actions to them. I personally believe that this starts almost as soon as the child develops the ability to see clearly. The first step is trying to give your child attractive, classy toys rather than garish, ugly ones. Then, as your child grows older, you will probably want to read books to him or her. (Reading books to your children is one of the best predictors of future academic success.) Now, there are a lot of kids books out there, and a huge range of quality. I suggest that is important both to choose ones with attractive, realistic pictures, and good ideas. You will also want to decorate your house, and your kids room. Family photos are always a good choice for putting on the walls, but usually you want something else too. And when you choose your wall art or your decorating style, you should remember that it will be a major influence in your child’s life. What do your decorations say about you? Yes, your baby will probably rather play with an empty kleenex box than with the carefully chosen toys you have gotten for him or her. But you still made the effort to choose attractive toys for your kid, and the commitment to choosing good things is what matters. Your child will outgrow her desire to play with empty boxes, and will appreciate the beautiful things you have gotten—if they are there to appreciate. If you want your children to grow up to have good taste, who admire the truly beautiful, think beautiful thoughts, and do beautiful works, you will have to show them these things.How can your son or daughter appreciate them if he or she has been surrounded by ugliness and vulgarity? Your child deserves to be treated with respect, and if you think the video style is ugly, then it isn’t good enough for your child either. The ideas presented are likewise important. If you think a cartoon is stupid and dumb, then it isn’t good enough for your child. If the characters are small and mean and selfish, and do not grow, the story is not good enough for your child. If the characters are immature and materialistic, then they aren’t good enough for your kids to hang out with. And, yes, if your kid reads a couple of mediocre books, or watches one or two lame videos now and then, it’s probably not a big deal. But if you show your kid these videos on a regular basis, and make no effort to choose high-quality books and pictures, how is he to know the difference? If your child has been shown beautiful things, and told good stories his whole life, he will know the difference. It won’t take him long to learn, either. Your seven-year old should be able to tell the difference. If you have taught your child, mostly by example, what beauty, order, and goodness are, they will be able to choose beautiful, good things for themselves as soon as they are able to choose. If you have surrounded him with good people, good characters in the stories you read him and noble ideas, when it comes time for him to choose his own friends, he will be able to choose more wisely. A classic story of determination and kindness. Lovely cheerful old-fashioned pictures. I loved this book growing up. It’s one of those stories that has a repeating element to it, and kids love to have it read out loud. It’s also a super cute story. The illustrations are old woodcut style. Robert McCloskey’s gorgeous illustrations are the best part of this heartwarming story about a family of ducklings surviving in the big city. This is a cute story about a girl having a new experience and learning something about life. This would be a great story to read to a kid who just lost her first tooth. This is a retelling of the classic story of the resourceful traveler who tricks the stingy householder into feeding him. The pictures are wonderful. My baby loves these stacking rings. They are nice colors, and made out of wood These little buckets stack and nest, making them great for practicing motor skills, and playing games. They can be used for counting and color recognition games later. The animals in this little fabric book are so nicely drawn and are made of different materials and textures. My baby already likes petting the cat and pulling the mouse’s tail. Posted in Life, PeopleTagged growing upLeave a Comment on Making Memories or Growing Up?